The ClearSky Medical Diagnostics team attended an event in Leeds in November celebrating collaboration and innovation in developing new medical technologies across the region. For two years, the Translate initiative has enhanced and embed medical technology innovation know-how across the Leeds City Region. The event was divided into two parts: Celebrating Translate and the Launch of Grow MedTech with Professor Stephen Smith and Amir Dehsarvi representing University of York. 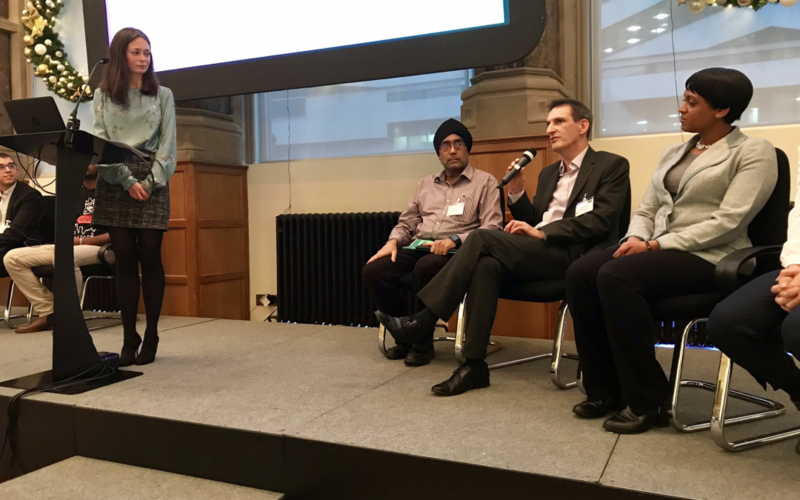 Stephen, managing director at ClearSky, took to the stage as part of the Translate secondment panel – introducing ClearSky and explaining how his recent secondment helped with developing our Parkinson’s diagnosis device, PD-Monitor. 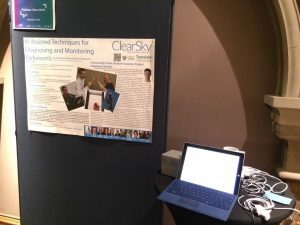 Amir, ClearSky’s Chief Technology Officer, demonstrated PD-Monitor to other delegates and shared a poster explaining how the company has commercialised PD-Monitor. And, how ClearSky recently welcomed Finn Hambly as a Translate Summer Student Project Awardee, working on PD-Monitor and how we can take it into market. The second part of the event at Aspire in Leeds saw the launch of Grow MedTech – a new £5million programme funded by the Research England connecting capability fund for projects that advance the development and de-risking of technologies in order to make them more attractive for further investment.